Hello Sweeties! I'm back with a complete travel guide / itinerary for you to explore the recent 3 prefectures that I visited few weeks ago. Those three prefectures are Toyama , Ishikawa & Fukui. That's the three prefectures! 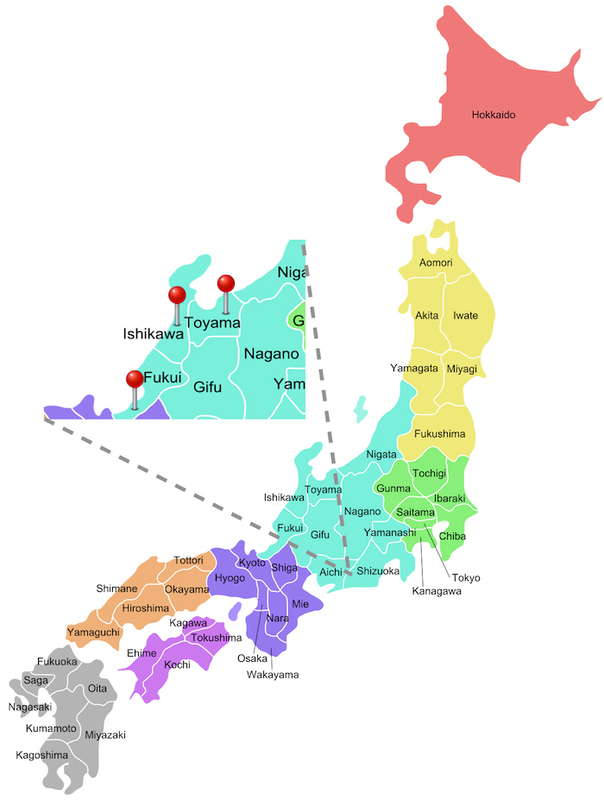 Now, let me guide you a bit on the map and the reason why I went to these 3 prefectures. So that's the 3 prefectures that I went recently. It's nearby Gifu prefecture, the one I went in January this year and all these 3 prefecture located on the Hokuriku Region. It's why this trip is all about the new Golden Route of Hokuriku Shinkansen. The whole route starting point from Narita Airport , pass by Toyama, Ishikawa, Fukui and then lastly Osaka & Kyoto. So throughout the whole trip, we just enjoy using JR Hokuriku Arch Pass with an unlimited-ride for a total of 7 days. JR Hokuriku Arch Pass cover the areas along the Shinkansen Line that are famous for their tourism resources, such as nature, history, culture, food and hospitality. It's something similar with the JR pass that I used during my Tokyo > Osaka > Kyoto Trip but this one worth more because you can also cover all these Hokuriku Region. If you look carefully, this new route actually look like a arch (it's why they named it as JR Hokuriku Arch Pass) and you can enjoy economical unlimited travel from Tokyo and Osaka to the Hokuriku Area. So nice right? It's just 25000yen per pass and compare to the value of unlimited travel from all those prefectures and city, personally I think it worth more than the value. 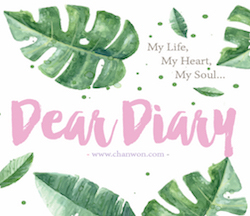 Not going to touch too much for the JR pass because the official website actually stated everything clearly but today, I'm going to blog about all the special places and itinerary that I think you might be interested. As mentioned earlier, I visited Toyama , Ishikawa and Fukui for the first time during this trip and during this trip I experience the culture, traditional food and some nice handcraft workshop that I would love to share with all of you. Toyama is famous of the most expensive sashimi norokuro + shirt obi in Japan, Ishikawa capital Kanazawa is famous with its gold foil while Fukui is so popular because of its dinosaur museum. 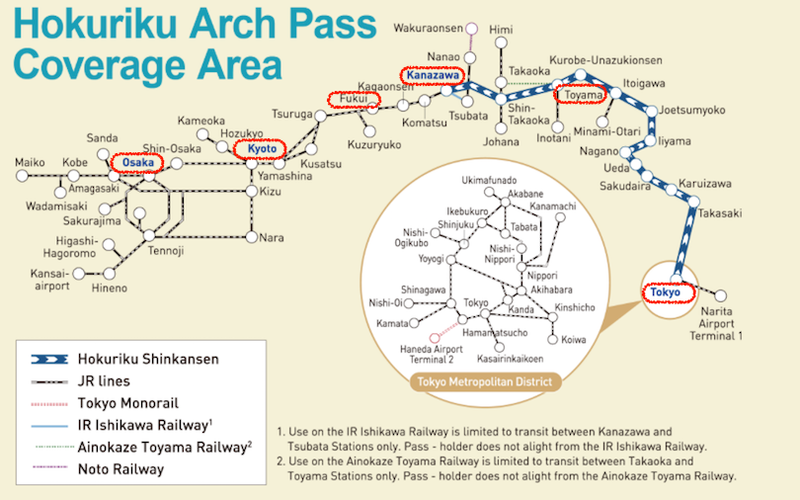 So to promote these 3 prefectures, now you can easily visit there via the JR Hokuriku Arch Pass. I went there for a 5 day trip but I guess if you really want to spend time on each prefecture + Tokyo + Osaka and Kyoto. 5 days isn't enough at all. lol Probably you can plan for a 7-9 days or even 2 weeks trip. There are so many beautiful scenery that I wish to go but due to the time we went is quite rush and we just want to experience the new Hokuriku Golden Route so we never actually spend much time in Osaka , Tokyo and Kyoto. 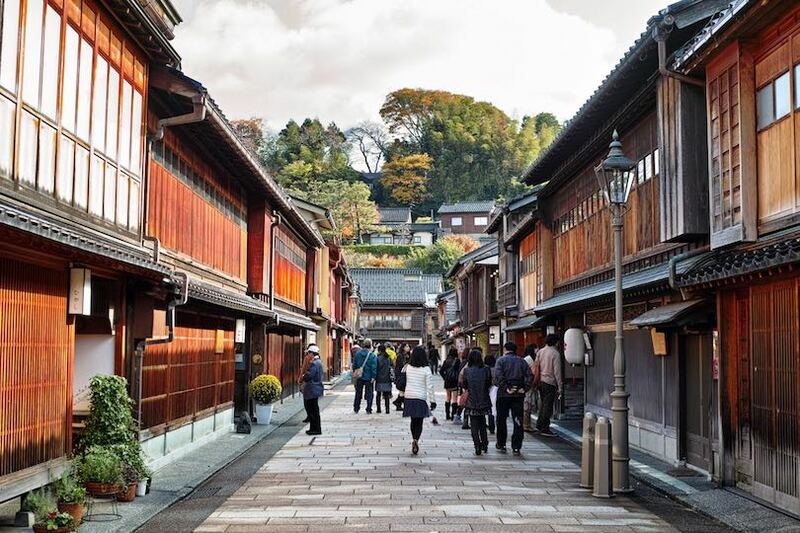 If you really want to look for some tips to explore Osaka & Kyoto, feel free to read here. 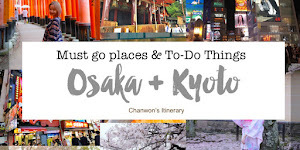 I did an itinerary for Osaka & Kyoto too. Meanwhile, let's get started with my journey to unlock my 3 new prefectures. It's quite rush during the day we reached Narita Airport. Just after I arrived at Narita Airport, I just head over to the JR East Travel Service Center to grab our Hokuriku JR pass from the counter and take Narita express to Tokyo Station. Yay! Collected my JR Hokuriku Arch Pass! Next, from Tokyo Station we are going to take Hokuriku Shinkansen to Toyama Prefecture. 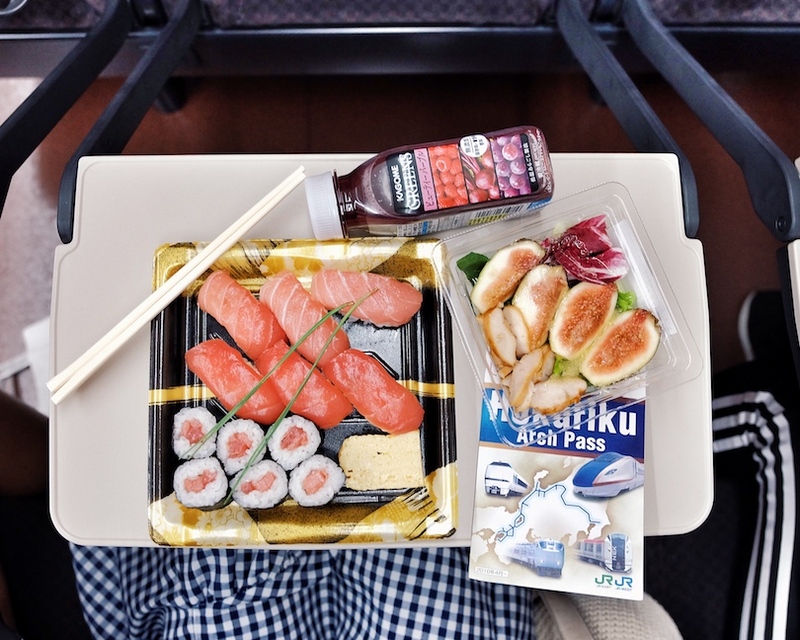 Can't wait to explore more and I'm enjoying my Ekiben lunch box in the bullet train. To make it easier, the whole afternoon, basically we just sitting in either the train or the shinkansen lol. So here's the easy formula for you HAHAHA! The first stop will be Toyama of course, so after 2 hours of resting in Shinkansen, I just continue to update my journey on my Instagram and at the same time, writing down all important point that I would love to share with all of you. The art gallery in Toyama. Here's the first stop in Toyama. Normally I rarely came to the art museum but this one damn nice. It's The World's First Museum Bridging Art and Design. Each of the corner really emphasize on the design and look good from different angles. There are lots of beautiful artworks / exhibition here too. Also a thumbs up for the additional viewing spot of Toyama at the rooftop of the building. Please if you want to have a bird view for Toyama city, you have to come to this art gallery and take a photo at their rooftop. It's damn beautiful. Visitors at TAD can enjoy an excellent view of the Kansui Park and the Tateyama Mountain Range throughout the year. It's aim to create a platform bridging the boundaries between people, art and design. OMG How can you resist this kind of view 😭 Sooooo nice! There are few photo spot that I found from here. The rooftop, the museum itself and also the 3 little white bears. Actually it's not little at all AHAHAHA. The white bears are located at the side of this gallery and it came with diff sizes! Sky turned really dark after that and after took some beautiful photo around the museum. We decided to walk to the nearer Starbucks too. You must be wonder, WHY Starbucks? Yes, the world's most beautiful Starbucks is located at Toyama and it's just nearby the art & design museum only! So let's check that out. 3-20 Kibamachi, Toyama 930-0806, Japan. This is the World's Most Beautiful Starbucks. It's located in Japan. Unbelievable right?! It's so well known because this Starbucks won the best store design award in 2008, and provides a good view during all kind of season especially during Sakura and Autumn period. The seating area is surrounded by massive glass windows on three sides, offering a breathtaking views of Fugan Unga Kansui Park. People often come here just to sit around the window and enjoy a cup of hot coffee. Thumbs up for the glass wall because the night and afternoon view is really good! So relaxing and I saw lots of pet owners bring their pet sitting outside of the window talking to their friends. Feel so full after my sushi dinner and the fish soup taste super good omg. I miss it now. If you really love to try sashimi, please come to this sushi bar because they serve the most luxury and precious sashimi for you. Make sure you check for their opening day and time before come ya. So after our dinner, we went back to our hotel to take a good rest before our Day 2 to Kanazawa, Ishikawa. So here's a historical pharmacy which produce Japanese traditional medicines since Edo era. Never pay a visit to a historical pharmacy in Japan before, so I'm really interested about it. Not just visit at the pharmacy, we also got the opportunity to be experience making the medicine. Next, there is a traditional medicine machine which allows you to make your own traditional Toyama pills. Here's the only place in Japan which provide such activities to the customer. It seems to be quite easy to make the medicine but actually it's not. Have to control both of your hand and make it really round and tiny! Okay it's my turn now! This activity is free and open to public. More info you can check on their official site that I link it at the bottom together with the contact details and address. OMG look at this guys. So in love with the retro packaging of the medicine! For me it's just so cute and doesn't look like a medicine at all lol . On the 2nd floor of the same building, there is a cafe which serves delicious Japanese cuisine that made with its medicinal herbs. It's really healthy to human's body but only open until 2pm and always fully booked. So if you plan for a day trip in #Toyama please make sure you give this a try. The whole collection of medicines. So special, am I right?!! 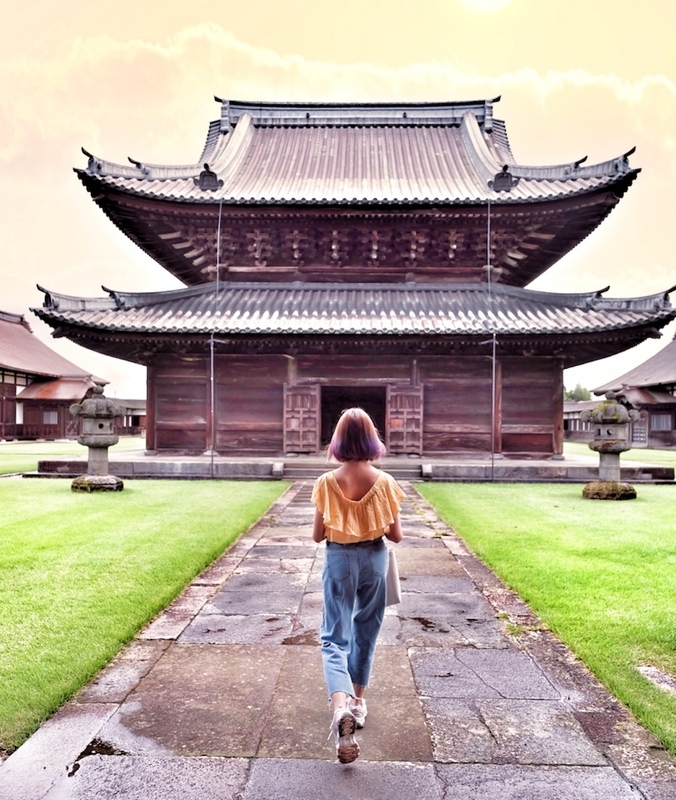 Open 9:00 a.m. to 6:00 p.m.
Zuiryū-ji is a buddhist temple in Takaoka, Toyama Prefecture, Japan and it's also the largest Soto Zen temple which listed as on of the National Treasures. This building was build 370 years ago and took 20 years to complete the whole temple. What impressed me the most was the construction and the interior of the temple. It constructed skilfully and the whole structure was purely made out of woods with a special method to connect them without the use of a single nail. Look at the construction. It's very unique and precious. At the center of the temple, standing on top of the altar, you can see such a beautiful sight that words cannot describe. The construction if done systematically and the arrangement is similar to a folding fan and presents a genuine appearance of Zen architecture. Finally it's lunch time. I'm so hungry and today it's seafood + sashimi again. I think I used up all my sashimi quota during this trip lol. Everything look super yummy and photo worthy too. So here's a restaurant located inside this market. After took our lunch we decided to spend sometime shopping around the market and I saw this huge crab in the market. Immediately took this photo for you guys. It's real and so huge lol. Not sure how many kg and how much this cost lol. This is one of the highlight throughout the whole trip. It's also my first time actual step into a real sailing ship. This sailing ship Kaiwomaru is now in Fushiki-Toyama Port's Kaiwomaru Park. It has sailed over a million nautical miles (around the world about fifty times) and has successfully trained over 11,000 young sailors. It's pretty hot here. If you come during Summer , remember to bring an umbrella with you too. So if you notice our itinerary, we always take Shinkansen around 4 or 5 pm and visit the new prefecture after the whole morning + early afternoon activities in the previous prefecture. Then once we arrived the new prefecture, we just check in our hotel. So it's a bit rush for me. If you plan for this trip you can slowly enjoy it and plan accordingly or just pick the place you prefer. No need to be so rush because you have plenty of time to enjoy it. So after a whole afternoon spent in Toyama, is time to utilize our JR Pass and head over to Kanazawa, Ishikawa! This restaurant serve the best traditional Japanese cuisine dinner ever. Food cooked with local fresh seafood and vegetables by certified chef who is specialised in Kaga local technique. If you would like to have Kaiseki (full course), you need to book a couple days in advance. So here's our first gold foil added sashimi HAHAHA! Everything serve in Kanazawa will have gold foil one. We enjoy the full course cuisine but we were too hungry and the food was too yummy. So ended up I realize I never take photo of my food except the gold foil sashimi lol. After that we go back our hotel @Daiwa Roynet Hotel Kanazawa. This hotel is the best hotel we stay so far. It's modern design and located nearby 2 shopping building and station too. Very convenient and since we back our hotel quite early after our dinner. We decided to spend some time to get some drugstore product. AHHAHAH If you plan to visit Kanazawa, please try this hotel. I recommend all my followers stay here too. So we just put down all our belongings, only bring our wallet and phone. Spent 1 hour to shop at the shopping building next to our hotel. lol I saw WEGO and some accessories shop that I really like. So before we go back our hotel, I have one more challenge for myself. To try the gold foil sweet potato ice cream. Omg this was the most luxury ice cream that I've ever tried. It taste so good! You can't really taste the gold foil but the sweet potato ice cream is really good. Finally unlock the second new prefecture: Kanazawa. A place which is famous with gold and breathtaking scenery. Visited #Kenrokuen in the morning and it's listed as one of the three Great Gardens of Japan. It's a strolling-style landscape garden with the characteristics of a typical Edo period garden. Famous of its beauty in all seasons and imagene if everything turn into red gradient color during autumn , pink during Sakura and all pure white in winter. The reflection of the sky is way too pretty! During winter period, the gardeners begin setting up yukizuri to protect the branches from heavy snow. So it's why you can easily spot all those ropes on the trees and it's one of the winter sight & that is the characteristic of Kanazawa. The fountain (funsui): This is the oldest fountain in Japan and the water comes from Kasumigaike pond and it works by natural pressure caused by the difference in the levels of two ponds. I'm now standing at the back gate to Kanazawa Castle. It's known as Ishikawamon Gate. It has now designated as a National Important Cultural Property. The shiny white roof is actually covered with lead tiles. If you love DIY or craft items then feel free to come here and experience the gold foil making. You can try the gold leaf decoration because it's simple and fun. You can pick your favourite shape of the plates or even lunch boxes and compact mirror too. The normal one (like the one we pick was around 900 yen only) If you present your JR Hokuriku Pass, you could enjoy a special discount from the shop too. So let's start with choosing your favourite plate shape and sticker to DIY your own gold foil plate. I choose the sakura shape one because I love everything in Sakura shape lol. Next, we get to choose 3 stickers from the box. Since it's one of the souvenir I want to keep for myself, I decided to get a Kanazawa sticker + sakura too. So it's now just base on your creativity. Just place whatever sticker you like and stick it nicely. So this is the gold leaf. It's only 0.0001mm thickness OMG! You need to place it carefully and before that apply the glue on your plate. So now this is the hardest part because the gold leaf is really thin and it's really hard to hold and position it to be above your sticker and with the glue. Thank god! It look so pretty OMG!! Wipe away the excess gold leaf. Here's some of the example! So after we done our creation, they will help us to finish it with a special coating. Then you can happily bring it back to your hotel or home. So here's the famous Omicho Market (近江町市場) . It has been Kanazawa's largest fresh food market since the Edo Period. The first floor is the market and second floor is the restaurant. We just stroll around at the market first before going to take our lunch at the second floor. The most juicy and luxury grape in Japan. For Lunch, we are having the assorted Seafood Rice Bowl at 鮮彩えにし. It's located at the second floor, if you not sure you can ask them to guide you with the name of the shop. You can ask for an english menu if you want. So for this seafood rice since they put many different kinds of seafood together, they suggest to enjoy the seafood one by one with the sashimi soy sauce at first and after that, leave some seafood with rice and put the seafood-rice sauce to have it. So one sauce for sashimi itself and another one to mix it together with the white rice. Let me tell you the seafood was super duper fresh. Without any sauce still can taste the freshness and sweetness of it and I guess all our lunch taste really good because their seafood was so fresh and yummy. If you haven try the gold foil ice cream, no worries because you can get it here too. Didn't manage to take a photo of the scenery because this place is quite a tourist place. So it's really crowded but google do the rest lol. So, Chaya is a traditional place of entertainment, where geisha (traditional female Japanese entertainers) have been entertaining people by performing dances and playing Japanese traditional musical instruments since the Edo period. It's like a old street in Kyoto but with lots of food restaurant or shop around the area. So we just stroll around until we spot this cute little high tea / dessert house. The dessert seem super nice here and taaa-daa, let's try it out. OMG the fruit mochi (rice cake) taste really good! as good as the photo! After that, we decided to go to another district. It's the Buke-Yashiki district and also a big highlight for the Samurai House (The family of Nomura). It's listed on top 3 of Japan's Top Gardens. So basically this is part of the ruins of samurai houses. Finding my zen and now we can fully appreciate all the cultural heritage of Japan here in Kanazawa. This whole samurai house look really peaceful and surrounded by the natural & green. After all, we head back to the station with our luggage and take 1 hour bullet train from Kanazawa to Fukui. We also checked in to our hotel @ Hotel Fujita Fukui and having our dinner (Yakitori) located at the 2nd floor of our hotel building. When you think of Fukui, you think of dinosaur. Everything in Fukui was related to dinosaur. Even the station placed the dinosaur here to welcome us lol. Also in the main city in Fukui, I spot lots of fake dinosaur around the city. Quite impressed with it. View from my hotel room's window. So here's the next highlight throughout the whole trip. Our favourite photo spot but if you afraid of height, you better stay there and dont move HAAHAHH! Tojinbo Cliffs is a national natural treasure which featured a dynamic view of columnar joints of pyroxene andesite that continues along the coast line for approximately 1 km. If you check on instagram located tag, you must be impress with all those photo taken at this location. It's breathtaking and this kind of huge cliff is rarely seen anywhere else in the world. So it's the reason why making it so famous. Free entry and open all day long. It could also be described as a piece of art that was created by rough waves of the Sea of Japan. Not only the cliffs, if you have enough time you could also do some shopping at Tojinbo Shopping Street. It has a variety of shops for many tourists. Every corner = photo worthy corner. I did glass art before during my Iwate Prefecture trip in the beginning of year 2017 and I thought this should be something similar but when I saw the white wrapped glass cup, immediately I know it's something different. So I'm ready for this! It's very easy, just draw whatever shape you like or anime if you want to. I want to make it simple because I have no talent at all. So I just (as always lol) draw my favourite sakura shape ahahahah! Then I decided to draw it out on the white sticker and cut the excess sticker tape off. After all, just add a matte coating on the glass and you're done! My favourite seafood Italian Restaurant in Fukui. Dipping in? Are you sure?? I'm really excited because I'm waiting something..Guess what's that? Obviously, bigger than my head! The best pasta that I've ever tried in Japan. The entrance fee is quite reasonable not expensive at all. If you still planning your trip to Fukui, please remember to pay a visit to the dinosaur museum because it's so fun. You can see the real fossils from the dinosaur and a huge variety of the fossils from the Discovery Site too. Other than that, the Dinosaur world was one of the highlight in the museum too. The Dinosaur Hall has over 40 mounted dinosaur skeletons on display as if it is a pictorial book with real-sized, 3D specimens. 7 skeletons contain significant amount of original bones. Among all, Camarasaurus is the most complete in which 90% of the original fossil materials are used to reconstruction. Here's one of the famous hidden power spot in Fukui. If you wish to pray for your luck, make sure you drop by here for awhile to touch the lucky stone and throw the coins too. Since it's the last spot before we move to Osaka, we decided to dress up ourself in traditional Japanese Princess costume and take some photo in this beautiful Yokokan Garden. Yokokan also known as the Worldwide Famous Japanese Garden. It was used for hosting tea ceremonies and banquets, as well as for the relax in. It's also annually ranks in the top 5 of Japanese Garden Rankings of the American Journal of Japanese Gardening. So we just rush back to take our shinkansen and head over to Osaka because the next morning was our flight back to our home country. To be honest, I really wish I could stay longer in both Fukui and Kanazawa, Ishikawa Prefectures because there are still some of the places that I'm interested to visit but due to limited time we have, we decided to come back again in the future lol. Always an excuse for ourself to come back HAHAHA! I guess that's the end of this itinerary post. 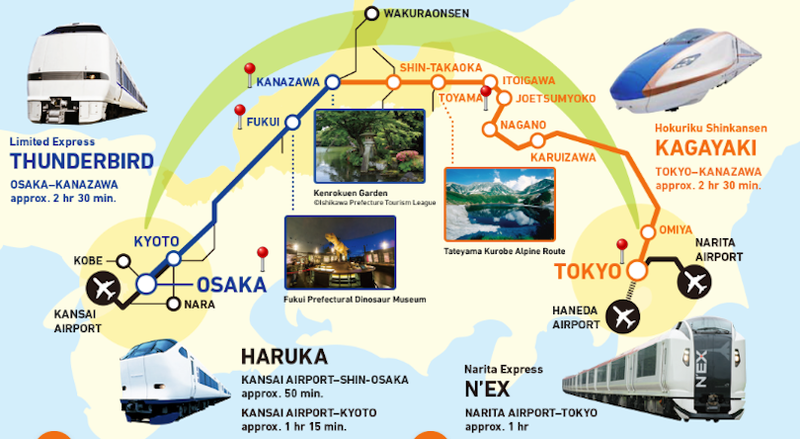 Hope this can be useful for you to plan for your itinerary and thank god to the JR Hokuriku Arch Pass! Because of the Pass it's no longer a problem for us to travel to the Hokuriku Region via the bullet train. I guess that's all for today. See you on my next post. Love, xoxo. How long did you take to go from Tokyo to Toyama using the shinkansen? Which prefecture (Fukui, Toyama and Ishikawa) is best to stay at? And also, what is the duration between the 3 prefecture? Is it possible to use the nationwide JR pass for this plan? Because I am travelling down from Fukuoka. Is 1 week for the 3 prefecture too much or too little?